Some of you are heading into the playoffs. Good luck! Kick well and have fun! If your season is about done, plan on taking few weeks off if you need rest, and then get back into kicking. You do not need to get right back into kicking three times per week (unless you want to). But get the wheels turning in the right direction and start planning for the winter. If you are playing a winter sport, you can still find time to kick once per week and do drills for 10-15 minutes few times per week. If you want to be a good kicker, you pretty much have to. Where are you going to kick this winter? If you are receiving this Newsletter, you live in the Midwest. Yes it gets cold and snows occasionally. But there are also mild days scattered throughout the winter. If it is 30 degrees, sunny, and not windy, get outside and kick. Some indoor options to consider: golf domes, field houses, gymnasiums, your own garage with a net of some sort, etc. You do whatever is the most convenient for you in order to get some kicking in. I personally prefer dressing warm and kicking outside. Couple tricks that I have done for years: 1. get dressed fully to kick outside and then do my warm up inside - jump rope, bike, stretch, etc. After a 10 minute warm up indoors, I am so uncomfortably warm that stepping into a chilly outdoor environment feels refreshing. 2. Bring enough footballs with you and kick in both directions. If you have 5 footballs, and kick across the field, using lines for target instead of the goal post, you can easily get 50-60 full field goals, or 70+ punts in about 30 minutes. Regardless of the cold, focus in for 30 minutes, get your kicks in, and go on with your life. Planning to Kick in College? You have probably heard from some schools who showed interest in you. If you are also interested in them, it is time to start talking more seriously. What kind of scholarship/aid are they offering? Are they ready to move forward to verbal commitment. You can't sign anything official until February 6th. But making a verbal commitment is like getting engaged to be married. You are not married yet. But you are also not single and dating.. If you have not heard from any schools that are you are interested in, start reaching out to some. Lot of times schools are interested in kickers. But they are not interested enough to put in the effort to reach out to them. All they are saying is, "We would have you. But we don't have to have you". Try not to take this personally and let your ego get the best of you. My advice is to get on the team anyway that you can, and then prove that you deserve to play. Scholarships and everything else will follow. Time period between now and the end of the senior season (one year from now) is the most important time frame for a kicking prospect who wishes to win a scholarship or kick in college. You have to be on top of your game next June and maintain it through the end of your senior season. You have to kick field goals well off the ground well. As a punter, your hands have to be game-ready - quick with consistent drops. Start kicking and training now. Once you reach a performance level that is your best, or close to it, start attending camps and showcases. You need to get in front of as many people as possible. Kick and get better. Compete with other kickers in your class to see how you measure up. But mostly compete with yourself - keep improving! Become a great kicker! Outwork everyone else! If you are awesome, all you have to do is sit back and collect scholarship offers. Current Oklahoma Kicker/Punter, and our staff member Austin Seibert, received 20+ offers from top programs in the nation prior to his senior year of high school. When I saw him as a freshman, he was a good kicker...but not amazing. He was kicking 40 yard punts with 4.1 second hang times and kicking 45-50 yard field goals off a 2-inch block. But after that training session, he lifted weights, watched a lot of kicking videos, and kicked a lot (field goals off the ground). Two years later, he was the top HS specialist in the country. You may not improve that much. But who knows? All Austin did was, lift weights, kick a lot, and kept asking questions on how to improve. It seems pretty simple. December through March - Small group indoor training in Chicago. Twelve 90-minute sessions on Saturdays at 5:30PM. Attend as many as you wish. December 15th 2018 - Youngstown State University, OH (eastern Ohio). Last year we had a 60-degree day and kicked at the stadium. (fingers crossed). February 18th 2019 (Presidents' Day) - Avantis Dome in Pekin, IL. * Individual training is available in Chicago throughout the winter. Indoor space is available on weekdays. Weekend training is limited to outdoors on mild weather days. 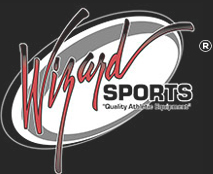 For best prices and largest selection of kicking supplies, go to Wizardsports.com You can find footballs, kicking nets, portable goal posts, and all kinds of training supplies. Come to one of our events and pay attention. Parents and coaches are welcome to accompany their athletes to any of our camps, observe the instruction and learn. Thank you for reading. Stay healthy and keep kicking!